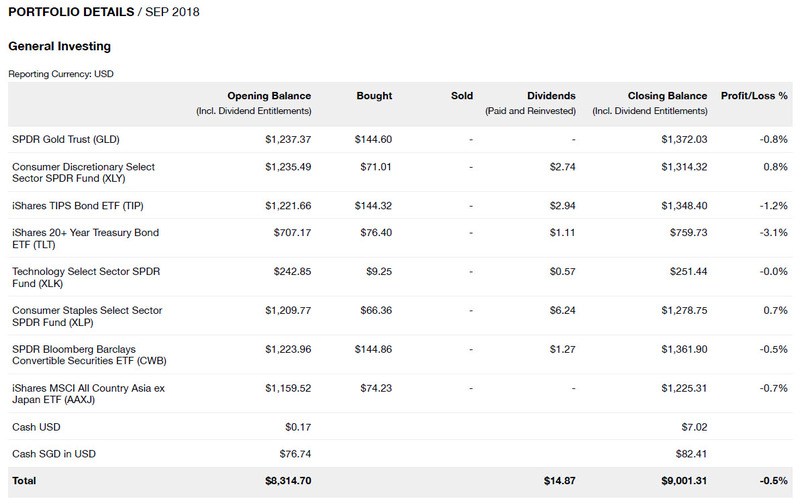 I blogged about StashAway Withholding Tax Reimbursement for FY 2017, compiled the total dividends and fees and concluded that the portfolio is pretty sustainable (dividends > fees) without injecting more funds. 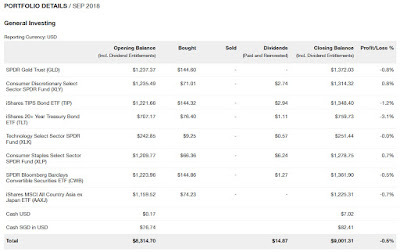 In hindsight, CZM's decision to stick with the current P28 portfolio seems to be the better move as compared to a 100% equity (highest risk) portfolio as the stocks market went into another round of correction in the last 2 weeks. 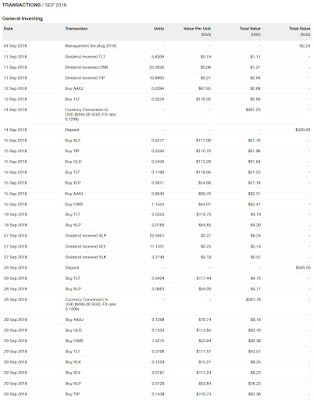 Based on the statement (30 September 2018), we gain $310.18. As of 18 October 2018, the total return has been reduced to just $39.27. In fact, it was negative a few days ago. 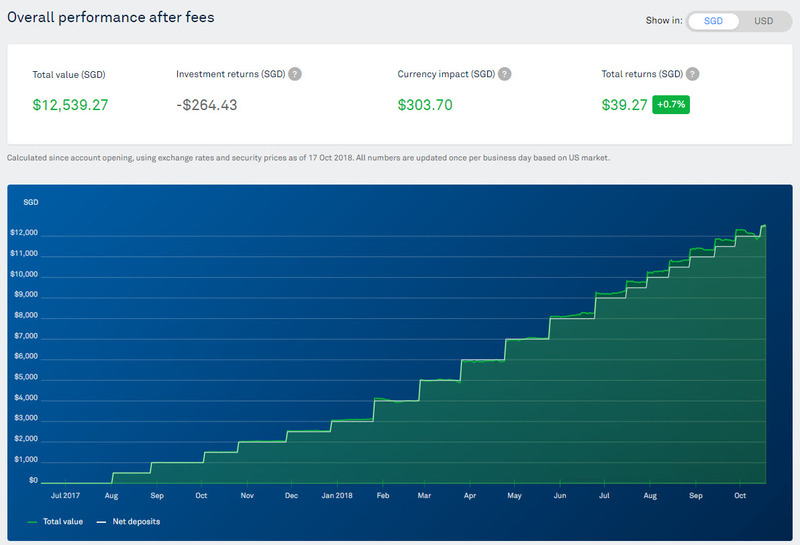 We lost -$264.43 from investment returns with a huge currency impact of $303.70. Not good! In our last monthly update, I said that I would have preferred the USD to be weaker because we will be going to the US for our honeymoon. Weaker USD meant that we can convert the same SGD for more USD to invest too. This month commentary: All the investments regardless of the platform or underlying ETF are in red/losing money. StashAway is considered to be outperforming the STI ETFs as it is not losing as much. 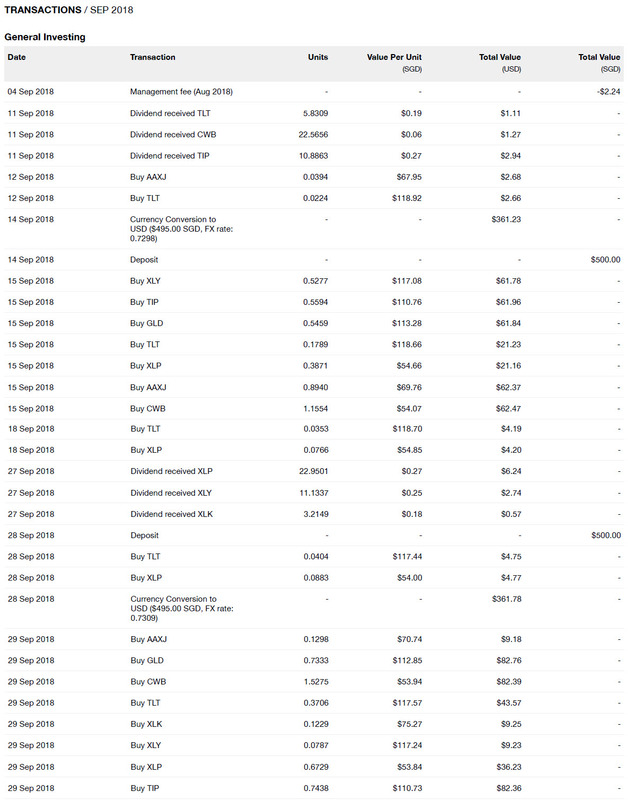 Assuming a capital of $1,000, losing $500 is equivalent to a 50% loss but to earn back that $500 (back to $1,000) requires a gain of 100%. The example may not be intuitive to some but a conservative portfolio will limit the losses and protect your capital. Our Wedding Expenses is Within Our Budget!